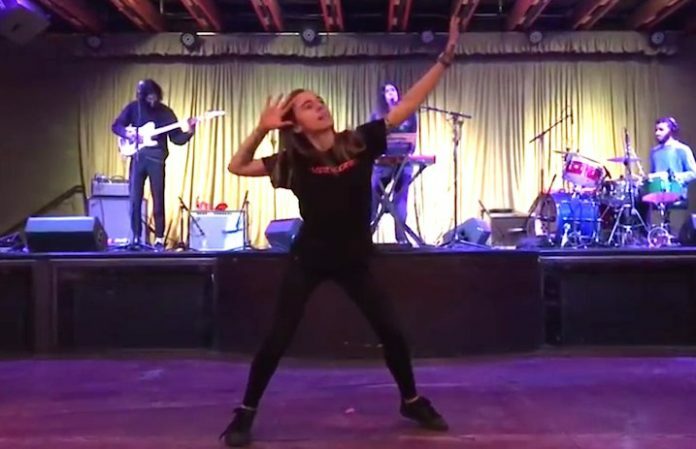 We can't think of a better way to start the new year than by watching this video of Julien Baker dancing to Half Waif's live performance of “Severed Logic”! Put on your dancing shoes and check out the ebullient clip below. Commence 2018 in a state of pure joy as Baker dances up a storm in the “unofficial” live video for the Half Waif tune. She enters frame at about the 1-minute mark, cutting loose as “Severed Logic” shifts gears into its loping, sinewy beat. “I'm so aware of all my moods,” sings Half Waif's Nandi Rose Plunkett at the top of the track—and we're fully aware of our mood right now: jubilation. Seriously, we dare you to watch this without a smile on your face. The groovy tune comes from Half Waif's EP form/a, released on Cascine in February of last year—you can grab it on Bandcamp right here.